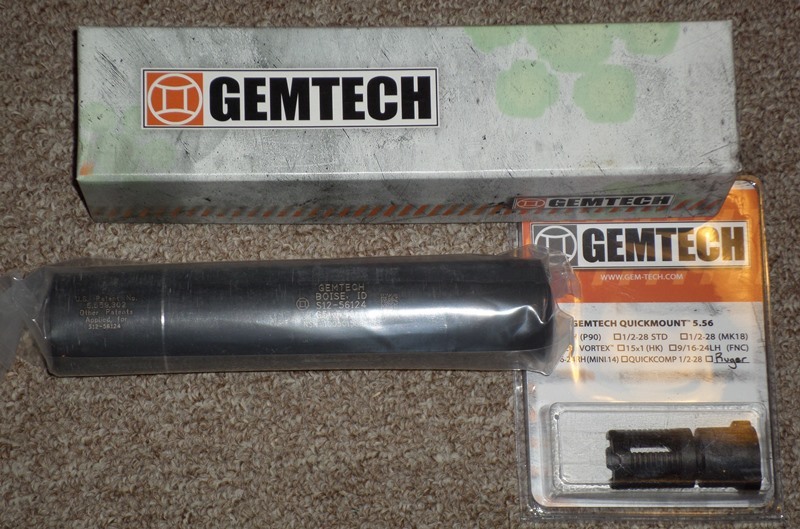 GemTech G5 suppressor for any .223. Snaps onto Quickmount flash hider and can easily be moved from gun to gun. Small and high quality. Quickmount $85. Ideal for those who have multiple guns.